So, I’m sure you’ve all ran across or heard about several brands of hair vitamins. After reading tons of conflicting stories about Hairfinity, I honestly was not interested in trying any type of hair vitamin, that is, until I ran across The Mane Choice hair products and hair vitamins on Instragram. After reading up on the brand and the creator, I was pretty impressed and curious about the line, specifically the Manetabolism hair vitamins. The creator, Courtney Adeleye, and her husband are both in the medical field and worked together to create this healthy hair vitamin. It claims to be “a dietary supplement designed to provide your body with the proper vitamin nourishment to maximize hair growth, thickness and health; while simultaneously boosting your energy level and strengthening your immune system.” I read hundreds of reviews on this product…maybe even thousands. So many women where taking the vitamins and documenting some pretty impressive results. I even saw several women with health issues that caused hair loss or severe cases of alopecia who tried this product and had good results. Tons of women were reporting major hair growth, overall healthier hair, longer and healthier nails and boosts in energy. This was pretty awesome. Heck, I even ran across several men who were using the vitamins and experiencing good results. I also checked out the ingredients list and noticed that the vitamins were loaded with some amazing vitamins and minerals. I won’t lie, I was very impressed and curious, and I was down right excited about getting my hands on a bottle or two…or three. My thoughts: I was able to snag a 4 month supply during one of their sales. The price of a 4 month supply is normally $87.96, but I took advantage of the sale at the time and got them 30% off with free shipping. I was a little apprehensive about purchasing them because, lets face it, they are some pretty damn expensive vitamins. I wanted to take them for at least a couple of months before giving an assessment. The directions instruct you to take two vitamins a day, everyday. I have to be honest, I did not take two vitamins a day, everyday. I took them 5-6 days a week, sometimes two a day and sometimes one a day. I tried my best to be consistent, but I had my moments where I simply forgot. I began taking them around June 2014 and stopped in December 2014. Although I bought a 4 month supply, I sort of stretched them out over the months by taking them a little less than the bottle instructed. So let’s get to the good stuff. I’m sure you’re wondering if I noticed any changes in my hair over the months, right? I most definitely saw some positive results from taking these vitamins. My shedding slowed down tremendously. I know it is very normal for our heads to shed 50-100 strands of hair per day, but I was getting extremely frustrated with the amount of shedding I was experiencing. I normally detangle my hair once a week, and when I did I had A LOT of shed hair. After taking these pills, I noticed that my shedding had slowed down tremendously. My hair was noticeably thicker. My hair is not extremely thin and it’s not extremely thick. Some spots of my hair are fuller than others. I noticed that those spots that weren’t as full started to fill in, and overall, my hair just looked thicker and healthier. After some thought, I concluded that since the shedding had slowed down a lot I was retaining more hair, which was making it appear thicker. I do not think that my individual strands were, all of a sudden, thickening up (Is that even possible? lol). My nails grew…A LOT! Yeah…so…my nails grew a lot while taking these vitamins. My nail beds looked a lot healthier, my nails weren’t as fragile and boy did they grow! My hair was growing a lot faster than it normally does. I do not track my hair growth. I should, but I don’t. I don’t measure my hair or own a hair measurement t-shirt. I simply snap pics every once in awhile and look back at those pics to compare the differences in my hair. I did the same when it came to these vitamins. Since going natural I noticed that my hair grows at a moderate to slow rate. When comparing pics from one year to the next there is noticeable growth, but nothing drastic like I see with a lot of other Naturalistas out there. This used to bother me when I first started my hair journey, but I quickly got over it and accepted and loved my hair for what it was. 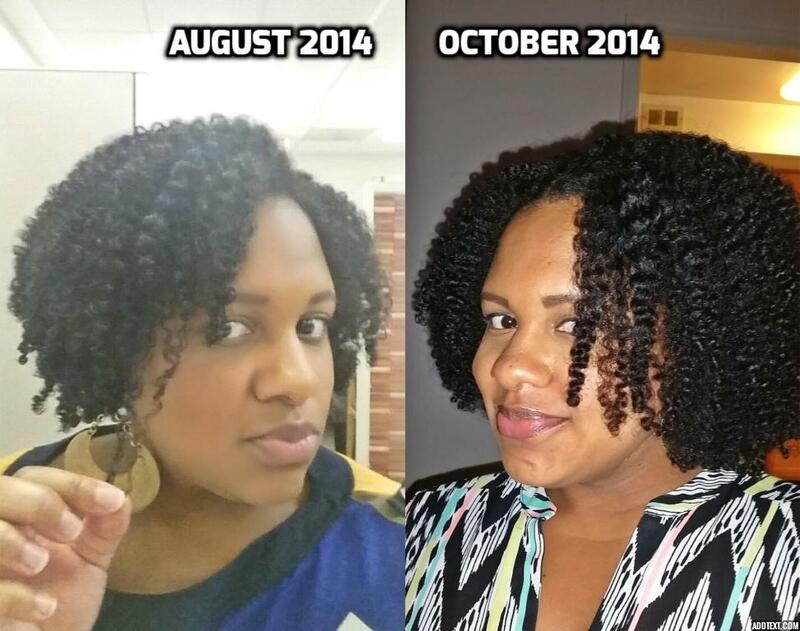 Some Naturalistas hair grow a lot faster than others and that’s just what it is. After taking the vitamins for a couple of months, I noticed that my hair was definitely growing at a faster rate. The pic below is a good example. The pic on the left was taken in August 2014 and the pic on the right was taken in October 2014. My hair is noticeably longer and thicker. Trash it or stash it? I love these vitamins! Although, I didn’t take them as often as I should have, I still noticed positive changes in my hair and nails. I did not have any negative effects while taking these vitamins whatsoever. These are some awesome vitamins that will remain in my stash! 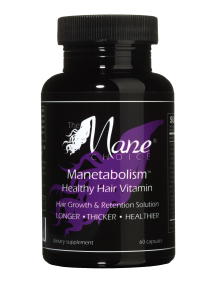 Have you tried The Mane Choice’s Manetabolism hair vitamins? If so, how was your experience?